Jawalakhel Group of Industries (JGI) launches Nepal’s first premium vodka with edible gold flakes—Ruslan Gold Reserve Vodka. With the tagline of ‘Taste Gold Feel Gold,’ it is a premium vodka infused with real 23 carat gold flakes to create a unique sensorial experience unlike any in the market. The gold is imported from Germany and is European food grade certified. Furthermore, every batch of Ruslan Gold Reserve Vodka is tested for quality in an ISO/IEC certified lab. Ruslan has been a favorite amongst vodka enthusiasts for over 40 years, and 2019 marks a new frontier as Ruslan creates premium brand extensions that deliver to the up-market needs of vodka connoisseurs. Cathay Pacific has become a full member of Pharma.Aero, a cross-industry collaboration for pharma shippers, CEIV- certified cargo communities, airport operators, and other air cargo industry stakeholders. Cathay Pacific has been CEIV-pharma certified since October 2017. Pharma.Aero, whose aim is to achieve excellence in the reliable, end-to-end air transportation and handling of high-value, time-sensitive pharmaceutical products, announced Cathay Pacific’s membership on March 14, 2019, at the IATA World Cargo Symposium in Singapore. The flag carrier airline Turkish Airlines is ready for the great change in Turkish aviation history. The “Great Move” to Istanbul Airport will begin on April 5, Friday night at 03:00. As the greatest airport project of the world, the first stage of the move towards Istanbul Airport was back on October 29, 2018. Unique in the global aviation history, the moving operation will take 45 hours in total, and it will be concluded on April 6, Saturday night, at 23:59. In order to conclude the “Great Move” successfully according to prior plans, Atatürk Airport and Istanbul Airport will be closed for all scheduled passenger flights between 02:00 and 14:00 of April 6, 2019. 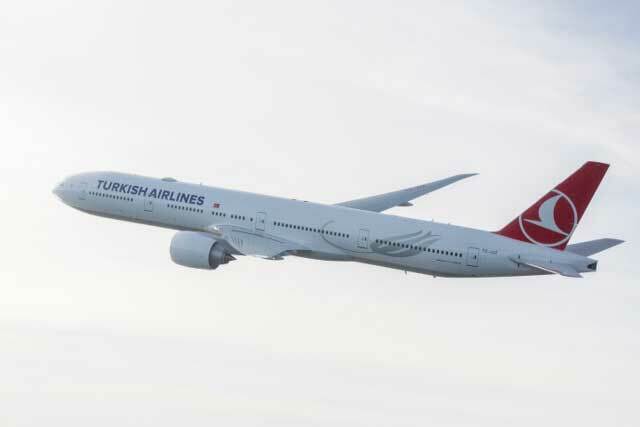 Marking the rise of Turkey and Turkish Airlines in the global aviation field, the last flight carrying passengers from Ataturk Airport will be the Atatürk Airport – Singapore flight. After the move, operations will start in Istanbul Airport on April 6 at 14:00. The first flight after the “Great Move” will be the Istanbul Airport – Ankara Esenboğa Airport flight. The number of flights from Istanbul Airport will be increased in stages according to a set plan. Likewise, freight will be moved on five thousand trucking rigs, and also, after the “Great Move” IATA codes will change, and after April 6 at 03:00, Atatürk Airport’s IST code will be given to Istanbul Airport. Atatürk Airport, which will be hosting cargo and VIP passenger flights, will use ISL code. Daraz, Nepal’s biggest online shopping destination, announced another edition of “Brand Day” powered by Sony on March 15, 2019. Starting from midnight until 23:59 on March 15, shoppers had the chance to grab specially curated offers of Sony at Daraz. Consumers could get discounts of up to 52% with the minimum discount starting from 33% on Sony phones, as well as up to 37% discount on select Smart TVs, including vouchers worth Rs.5000. Consumers also enjoyed 27% off, and freebies worth up to Rs.17,000, with select camera models, and freebies worth up to Rs.16,000 with PlayStations. There’s more, with discount of up to 23% on storage devices, and up to 80% discount on select accessories. Dinner is going to be a whole level tastier. Hotel Annapurna, located at Durbar Marg, has announced the availability of Durbari Silver Thaalis every evening from 7:00 p.m. to 9:00 p.m. at The Coffee Shop, priced reasonably at Rs.1000++ for Vegetarian Thaali and 1200++ for Non-vegetarian Thaali. For reservation, you can contact at 01- 4221711. Spring has swooped in and the temperature is slowly rising, and with this turn of the seasons, Hotel Shangri-La is celebrating the season with sensational foods and beer, and kebabs. You can celebrate spring at Hotel Shangri-La Kathmandu till April 8 and Shangri-La Village Resort, Pokhara, till April 10, while enjoying your favorite beer paired up with the juiciest kebabs of your choice. The delectable ‘Beer & Kebabs’ menu includes Magna Beer and dishes like Bhatti Da Murgh, Mutton Sheek Kebab, Sarson Wala Machali, Malai Noori Tikka, Paneer Hariyali Tikka, Chukundar Ki Shami, Subzi Gilati Sheekh, and Navaratna Aloo Tikki. Every weekend, you can now join Hyatt Regency Kathmandu at The Cafe for a rejuvenating time with friends and family over an indulgent brunch while splashing in the swimming pool or just relaxing in the outdoor whirlpool. You can make your selection from the wide variety on offer in the vegetarian and non- vegetarian buffet spreads. A buffet featuring barbecue, kebab stations, antipasti, live station, and mouthwatering desserts is only part of what makes the Weekend Brunch finest option.